Our government: laugh or cry? 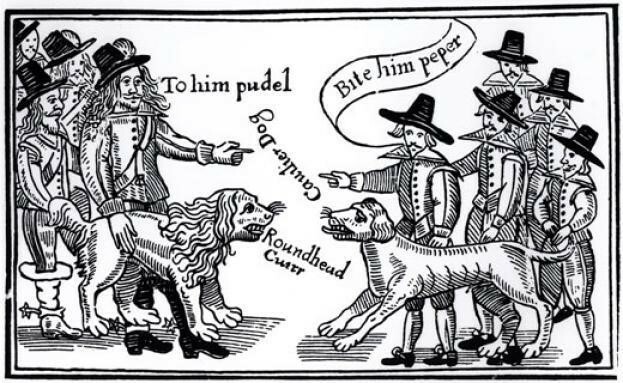 November 5th 2017 – Sporadic fighting continues as skirmishes between rival factions in the English Civil War Part Two bring national misery and international derision. The Prime Minister, King Theresa May the First remains vehement that the Divine Right of Unelected Prime Ministers trumps the sovereignty of elected MPs and a subversive and unpatriotic parliament. The King maintains that no running commentary will be given regarding England taking leave of its senses; cards will not be put on the table and there will be no blow by blow account of England taking leave of the planet. So there… the King has spoken and the King has been chosen by Almighty God and not by the Conservative Party, or parliament, for that matter, the electorate. The latest battles to take place between Cavalier royalists and Roundhead parliamentarians focuses on England`s overwhelming desire by 52 per cent to 48 per cent to sever allegiances with King Louis XIV of France, the Duchy of Lorraine, the Prince-Bishopric of Strasbourg and Ferdinand III of the Holy Roman Empire. The English people have clearly rejected various foreign treaties, protocols and declarations made in foreign places like Schengen, Maastricht, Amsterdam, Nice or Lisbon and wish to preserve the unique Roman, Viking and Norman Englishness of England by closing our borders to bloody foreigners. Reports suggest that the Royalists have the upper hand in battles taking place at Cropredy Bridge as part of a folk festival, Edge Hill, Naseby, Newark, Newbury and Newbury again. However, the Roundheads seem to laid siege to Marston Moor golf club where Sir Nigel d`Far d`Far Rage separated from his camp followers is rumoured to be down to his last packet of Rothmans and has only half a barrel of Priapic Bishop Old Brain Damage Traditional English Ale to sustain himself and his reduced company. Unconfirmed sightings have indicated that there is infighting within his soldiery particularly between his horse and foot in mouth. At an Aldi car park in Worcester, members of the newly formed Royalist citizens militia known as the League of English Defenders encountered what they thought was an Islamic, single mother, lesbian, High Court judge benefit scrounger with a funny name and skin that was not red and blotchy like theirs. Giving chase, four of the militia collapsed and died due to obesity and Type Two Diabetes, another suffered spontaneous combustion as he exposed his torso and yet another suffered severe concussion as his gargantuan beer belly arose up and smited him in the face. Only two managed to reach their target and forcibly removing the veil from the enemy, the two patriots realised too late that it was a fellow member of the League of English Defenders who had previously sustained a head wound by repeatedly head butting the Brighton Pavilion in the mistaken belief that it was a Mosque. Elsewhere, Sir Feckham Duncan Smith, Lord Liam Fox of Lying Bastardshire, the Dishonourable Marquise de B`Oris Johnson and Sir Gove the Incredibly Stupid took up semi-permanent positions inside Pentonville Prison. Unscrupulous colonials have been distributing scurrilous pamphlets in coffee houses from Eastcheap to Wapping attacking judges, barristers and hedge fund managers and for the first time in living memory, claiming to defend the humble English yeomanry. In the latest sinister development, numerous barrels of curry paste, garlic and gunpowder sauce were discovered in the cellars below the Houses of Parliament. Clearly the work of dissident revolutionaries, King Theresa May the First has issued a Royal Decree that from now on November 5th will be commemorated by the building of bonfires and the burning of a Jeremy Corbyn effigy. Unlike Charles the First, Theresa May knows what happens to Kings that believe in the Divine Right of Kings . . . Heaven knows what the reign of Charles III might bring.